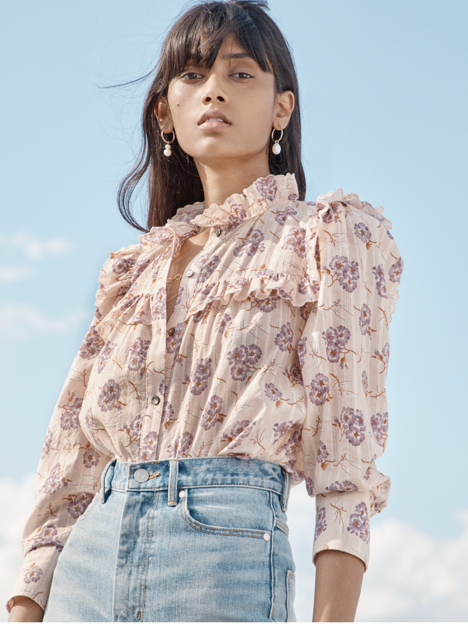 Inspired by vintage embroidery from the 1800’s, the detailing on this long-sleeve top makes it a must-have for the season. Inspired by vintage embroidery from the 1800’s, the detailing on this long-sleeve top makes it a must-have for the season. Embroidered trim and a subtle collar add to its nostalgic mood.